Barriers to doing business in the global defense technology market are numerous. Hamilton Advisory enables expansion of your export business by guiding you through US Government financial, regulatory and national security processes. For multi-national businesses, securing classified defense contracts without forfeiting control over US business operations is a balancing act. Hamilton Advisory helps companies successfully navigate and negotiate the Defense Security Service process. We work with you and your legal advisors to create a structure that allows you to successfully participate in the US market while minimizing the risks. 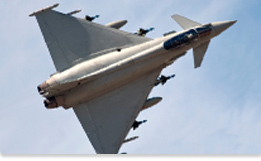 Hamilton Advisory helps obtain difficult export licenses for advanced military technology, negotiates Technical Assistance Agreements (TAA's), and creates infrastructure to ensure compliance with the International Traffic in Arms Regulations. Our integrated team of government and industry practitioners offers a full range of expertise, from the latest policy positions to the mechanics of the D-Trade system. Let us help you expand export programs, facilitate joint national development teams and resolve existing issues so that you can focus on growing your global footprint. A major concern of international defense contractors is how to participate in US federal contracts without compromising their proprietary technology. Hamilton Advisory shows you how use the FAR and industry practices to ensure your company's technology stays out of the public domain. Like every country, the US has its own unique regulatory and financial framework for contracting with the government. Leverage Hamilton Advisory's deep experience to create a profitable financial structure, comply with financial accounting and disclosure requirements, and successfully navigate the host of other contracting issues necessary to win business in the US federal market. Transfer Pricing and cost allocations between a parent company and its US subsidiary are high-profile issues for both the IRS and the defense procurement community. Failure to address the requirements in the FAR, CAS, and IRS regulations can result in a costly mistake. Hamilton Advisory guides your financial team through the hurdles to maximize contract cost recovery and optimize tax efficiency.